There’s still a few weeks of summer vacation left and we’re on a mission to make the most of it! We’ve already gone on our last weekend getaway (I can’t wait to post about it!! ), have a community pool that can cool us off (at least in the morning), and have arranged for some indoor activities for kids to finish the summer off nicely. See, for most people across the US, summer is all about getting out and enjoying the weather, but it’s a little different down here in Texas. The triple digit temps make it- well, DANGEROUS to be outside during the day. Keeping kids cool in the Texas heat is one area I’ve become adept in since moving here. It Has Everything: Hear me out on this one. Everything is already there- food, fun, and entertainment. You don’t have to worry about feeding the kids and there’s a great buffet with healthier options, too. “A Kid can be a kid.”: Unlike the library, museum, theatre, or movie theatre, kids are allowed to be themselves- however loud and active that may be. There’s not much that you need to do as a parent. You can just sit back and let them enjoy their time. 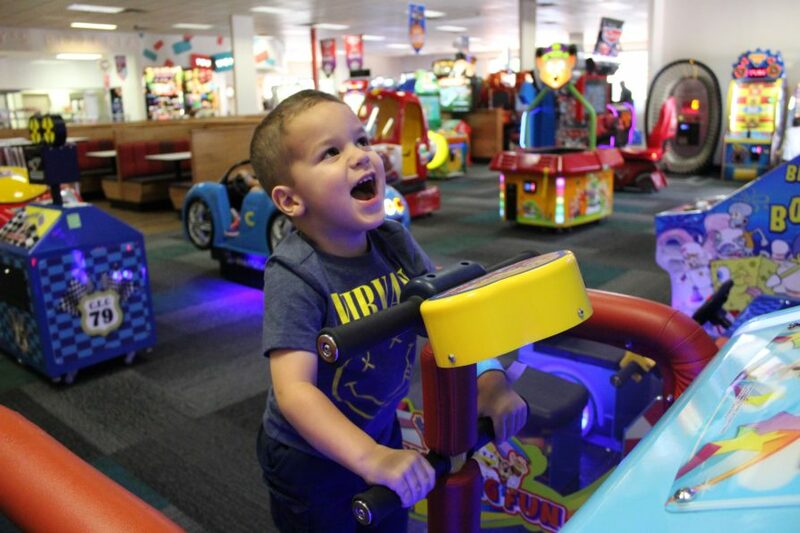 It Appeals to Different Ages: It’s a great place to take kids of different ages, too (not many indoor arcades, bowling alleys, or mini-golf places are fun for the littlest ones). They seem to have age-appropriate games for little ones up to tweens- which makes everyone happy. Security: I also enjoy the fact that there is a security system in place to ensure that no child leaves without the adult they arrived with- this is definitely a plus when you have three kids and only two hands. Staying Safe: As far as bodily harm -because we all have or know a crazy kid that can quickly turn a fun activity into a trip to the ER- most of Chuck E Cheese’s games don’t pose a threat to anyone’s health (which beats out the roller skating rink and trampoline park nightmares I have). 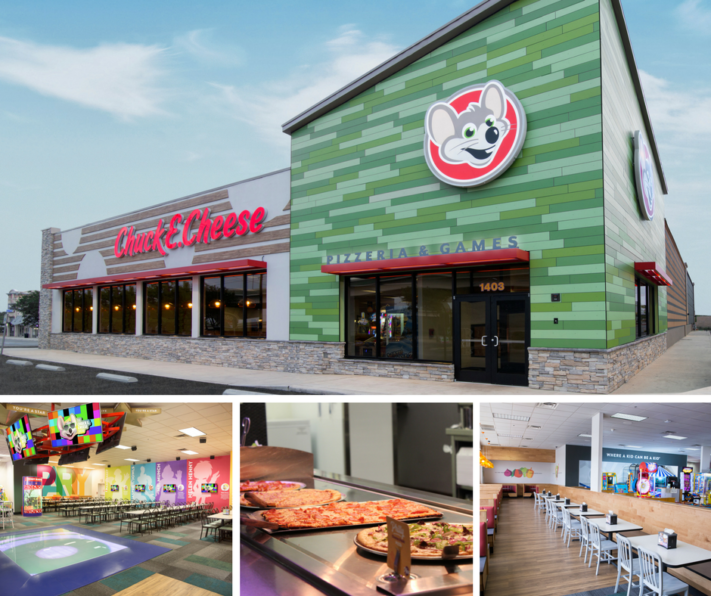 I have such great memories of Chuck E Cheese’s from my childhood and love that I can share that with my children, but this chain is changing- for the better. They recently teamed up with Tesser, a San Francisco-based design firm to remodel their flagship locations in San Antonio. 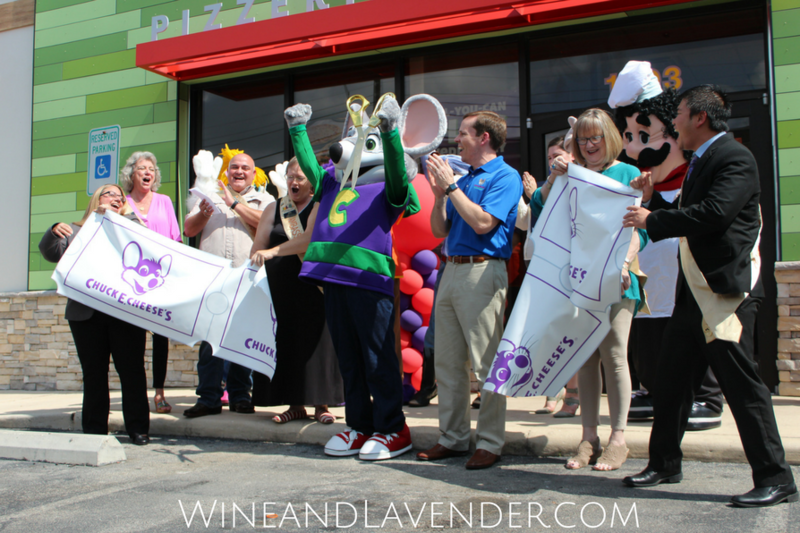 We were invited to the grand re-opening of their Stone Oak location last week and the kids had a blast! They played games, danced, and had tons of fun collecting tickets. Meanwhile, when I wasn’t busy snapping photos, I got a little time to relax and talk to other Moms. The staff was amazing- the characters came out and played with the kids, danced with them, and every now and then, you’d see them playing the games, too. And of course, at the end of our visit, we collected enough tickets to get all the kids some decent prizes (which they were SUPER happy about). We really enjoyed the whole event. A lot has changed at Chuck E Cheese’s! A new design that is appealing to both kids AND adults. They’ve added warm wood, neutral tones and streamlined graphics that makes adults feel comfortable and calm, while still appealing to kids as a fun and friendly environment. The new design highlights the pizza-making process with an open kitchen that allows guests to watch the pizzas being made from scratch daily. The lunch buffet has been moved closer to the open kitchen to display its fresh ingredients. You can now order from self-service kiosks located at the front of the store- which makes the arrival process so much easier! They’ve added a dozen new games (The kids LOVED that part) and all the games are played with the ‘tap-to-play’ Play Pass game card system. Instead of carrying around a cup of coins, kids get a card that can be filled with credits. This makes it easier for little ones and big kids alike to carry around (and it keeps those random Chuck E Cheese’s coins out of your wallet!). The Birthday Zone is revamped and bigger. The Chuck E Cheese’s characters are laid out on the wall next to each table, making it easier for kids (and adults) to find their party. There is now a new light-up dance floor in the middle of the restaurant that hosts an hourly live show. This is also where the birthday show takes place, which is nice because it’s easier for everyone to see and be a part of. Although the Texas heat can be a killer, we do get to enjoy beautiful weather the rest of the year. Just like you might hibernate in the winter, we hibernate for a month or two during the summer. It evens out. I actually prefer it this way because the weather the rest of the year is more enjoyable (no double layering for Trick or Treating and/or no snow to shovel!). Keeping the kids busy during the summer heat can be a challenge, but finding indoor kids activities in San Antonio is a breeze (pun intended). 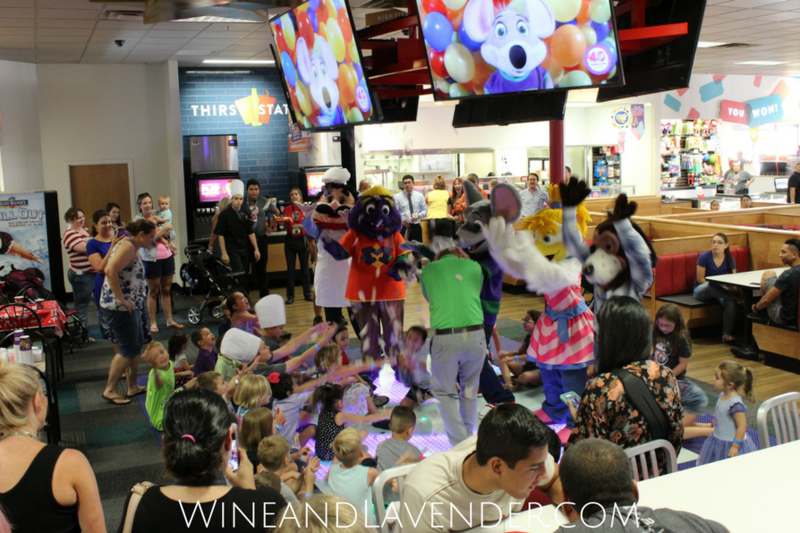 Check out Chuck E Cheese’s new layout- I think you’ll like it! If you’re looking for more ways to keep the kids busy, check out Keeping Kids Busy Without Using TV, 20 Ways to Keep Kids Busy During Spring Break, and Winter Break. How do you keep cool during the summer? Have you seen the new Chuck E. Cheese’s? Nice tips and the place looks amazing. I remember fun times at Chuck E Cheese when I was young and now my two love going there as well. It’s definitely a great option for beating the heat of the summer. We also like to visit local museums and our library. Great post! Trying to keep the kiddos busy when it’s very hot outside can be tough. I love the look of this remodeled Chuck E Cheese. You’ve listed great alternatives here. 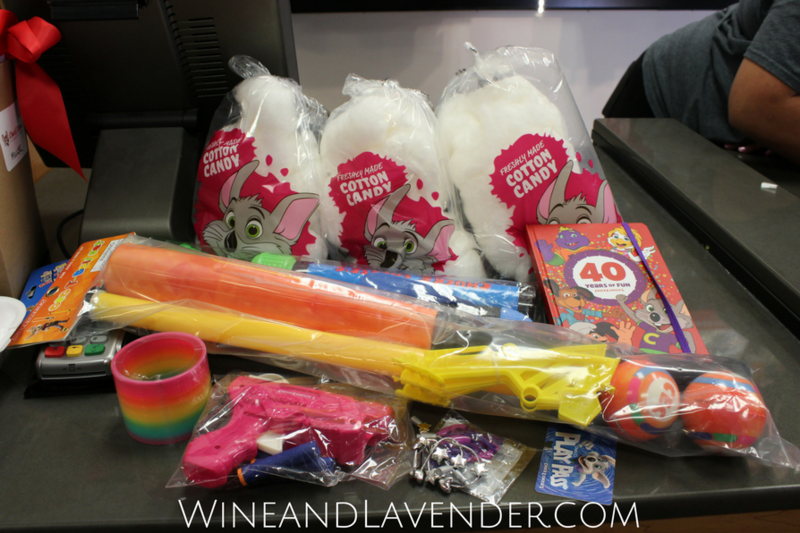 Love love love…Chuck E Cheese! We live in Dubai where summer is burning hot and it becomes impossible for kids to even go out to play so every weekend we go to Chuck E Cheese as it is a fun place not only for kids but also for adults. Rarely any week we miss a visit in summers. Great post! I’m sure making pizza is a huge hit with the kids. I’ve never been to a Chuck E Cheese. Though I’ve, of course, heard of them. Looks like a great place to have a kiddie party. Hey Erica! 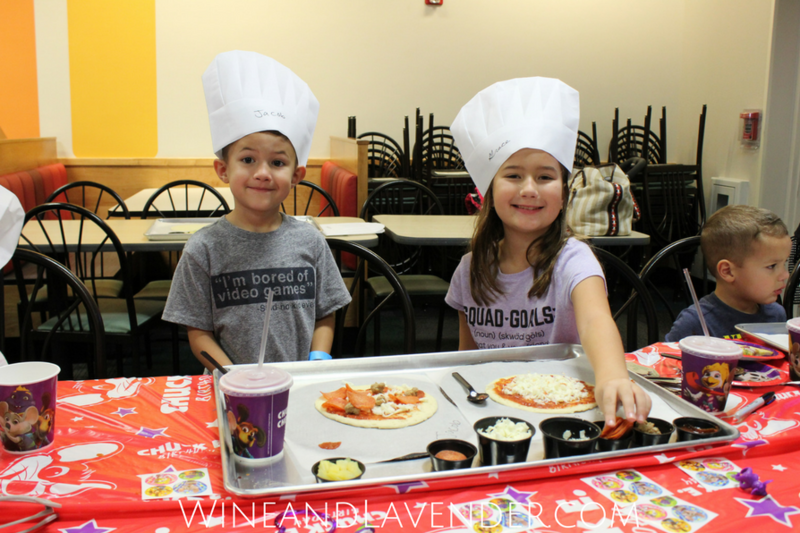 It’s the perfect place for a kid party- no mess for Mom to clean up and the kids can have fun on their own. These are all great suggestions! You know I have yet to ever visit a chuck e cheese! Maybe it’s about time! Wow Tiffany!! You gotta go- it’s fun for the kids and relaxing for Moms. I love all your ideas! I’ll be sharing with my mom, who has an in home daycare. She loves to take her guys bowling. It’s fun to watch! I’ve never taken my daughter to a Chuck E. Cheese, but I love how the new ones sound. A cooking class would be so much fun! Hey Corey! She would probably love it! My kids had a blast. I love taking my kids to movies. In fact we were thinking about doing the bowling alley last weekend but we will do it this weekend. This is a great list. The heat index has been in the 100s in Houston, we are always looking for fun things to do with the kids inside. Right Stephanie! It’s been killer out there and I need AC! Wow, Chuck E. Cheese looks like a fantastic option for kids! I like how they really make the effort to offer different kinds of entertainment, like the pizza making! Awesome. This is a great list! We have and since we stil have a few weeks left of Summer break, I definitely would like to get a few of these in. Such great ideas to beat the summer heat while still having fun! I don’t have kids, but will share this with friends who do. I won’t lie. Our chuck e cheese here in east cobb closed and I miss it like crazy. It is such a great place for kids to just be a kid! Exactly, Nina! They have much more freedom there. I love these ideas, so much to do this summer (or any season really)! No kids for me, but I’m always up for a day at the library or theatre. Thanks for sharing! These ideas are so great, so many options for things to do. I have never once in my life been to Chuck E Cheese’s, lol, we dont have them here in Austria, and everytime we have been to the US i never got the chance to go. Plus it keeps kids entertained as well! Great options in this list! I loved Chuck E. Cheese as a child! The new ones look so different than they did in the 90’s haha! Such a good way to entertain children. Yes Audrey! The new look is great! Indoor fun is my best friend during summers in NC.. we find every place we can and trust me Chuck E. Cheese is one of the best! These are such great ideas! I can only imagine what parents go through the last few weeks of summer when kids become restless. Yes, Dee!! Gotta keep them busy! Thanks. I loved Chuck E. Cheese as a kid. I always got excited when someone would have their bday there. So excited to see they are still around. It’s great to be able to remember and understand the excitement that your kids get to go there (because you did, too!). It is nice to have them around. I’ve never been to Chuck-E-Cheese myself but it sure does look like a fun place for kids. 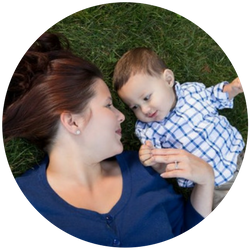 These are some really great tips to make sure that you keep your kids busy and cool at the same time. We’ll be making our way to the roller skating rink next week! Good ol’ Chucky Cheese. I use to loooove this place when I was a kid. Now I can’t take all the noise but their pizza is pretty amazing. Like….really good. LOL! Haha Erin! You’d love their pizza even more, now! They have so many options and a salad bar! Great list! We take our little one to the Science Center to beat the heat when it’s unbearable outside! That’s another great place to go!! Wish we had one near us! Oh Chuck E Cheese is a great place for kids. I remember the time when we were in the US and my daughter used to love it. I’m sure she did! Lots of kids love it! Keeping the little ones busy is a full-time activity .During summer holidays I to keep activities planned.Chuck E Cheese looks perfect. It’s a great time, Amrita!! Staying out can be a little exhausting especially during the summer when the heat is unbearable! I think these are great ideas! 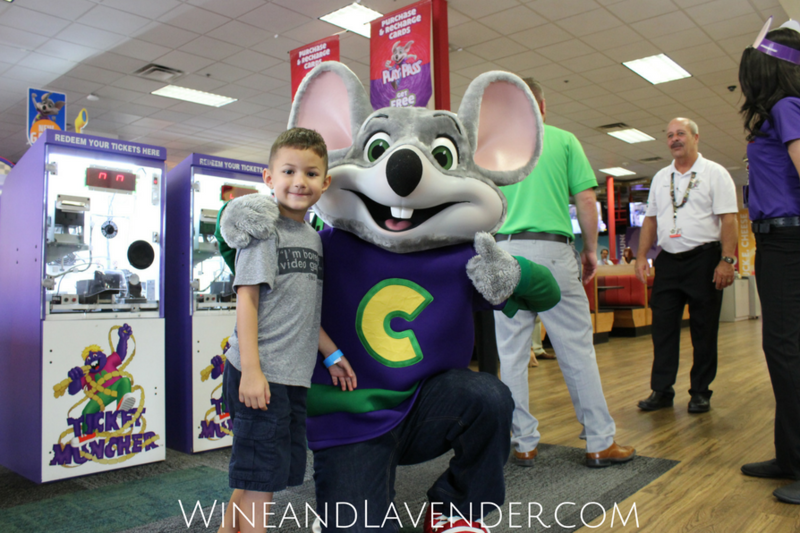 All kids love Chuck E. Cheese…old or new. Looks like they’ve added some new cool features. If they update the one where I live, I will visit again. Awesome tips. I will share this list with my sister in law because she is running out of ideas. We live in the south and it can get really hot here. We love to cool off in the library with a fun book. I was just complaining about the heat, you can’t even be outside for more than a minute without sweating! 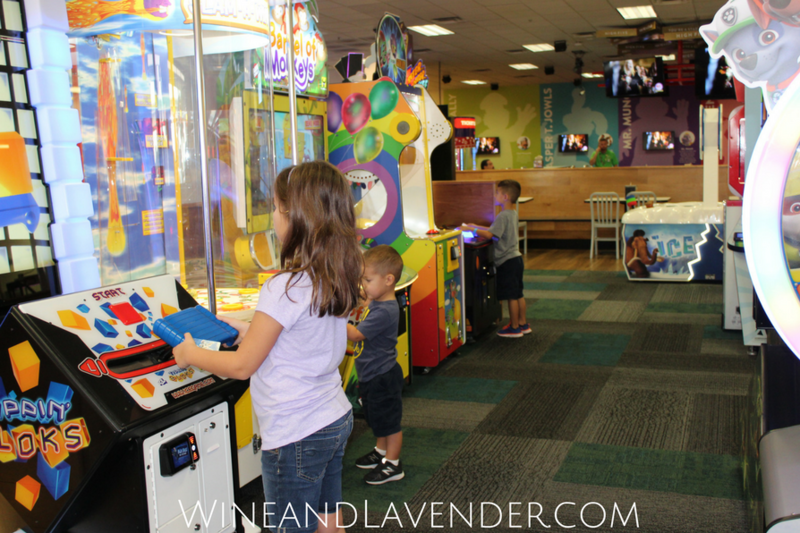 Indoor play areas are the best thing for us in Texas and Chuck E. Cheese’s really has something for everyone! Right?! It’s the perfect solution for these 3 digit temp days! Thanks, Crystal.